We’ve been hiking on a weekly basis now for the last two months — Saturday being the designated hike day, unless there are inexcusable social engagements, and Sunday being the designated day to either recover (after a strenuous hike), rest (after a moderately difficult hike), or just chill (after an easy hike). We can now officially tell ourselves and others that we’re ‘into hiking’ and that its not just a one-off activity (not that there is any shame in that!). We are really thrilled with this new-found outdoor activity — both adventurous and recreational. Every week, we look forward to checking out new trails and explore open space preserves and state parks and also test our limits of endurance and physical form. Most of the areas that we are exploring right now are mountainous and so there is a lot of uphill and downhill walk involved. Until now, we’ve hiked for not more than four hours at a stretch. Going up and down the hills, roaming the wilderness, treading the dirt roads in forests while watching out for natural wildlife, and finding our route on paper maps is somehow very enjoyable, adventurous, and satisfying (despite all the physical pain it brings afterwards). 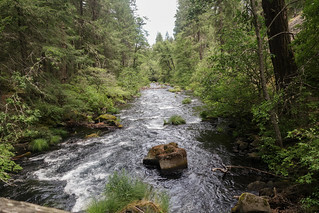 So many trails offer breathtaking views of the horizon, valleys, lakes, rivers, creeks, and waterfalls that each hike proves to be a vacation in itself. In our search every weekend for a new place to hike, we try to determine (using Google search or info on the park website) how long a trail is, how exposed it is, and how far it is from home. These parameters (hiking distance or length, exposure, driving distance) are easy to relate to with respect to hiking. There are some other terms and concepts that we have been coming across while researching about a trail and thought we’ll share them here while getting familiar with them ourselves. We’ll keep adding to the list as we get wiser. dirt trail: an unpaved, natural surface track. 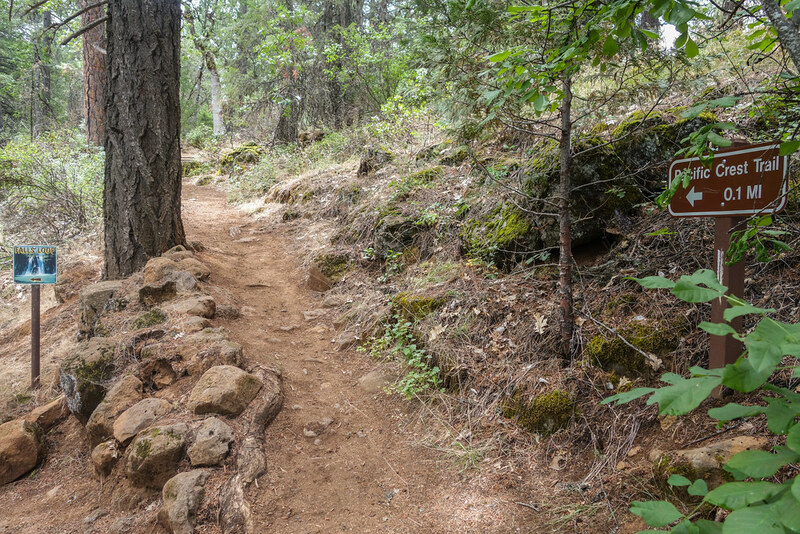 Most of the trails in the wilderness are dirt trails. The ones with doubles lanes are sometimes used as fire or forest roads. The dirt trails could be formed of different materials such as gravel, crushed stones, sandstone, or even tree roots at some places. 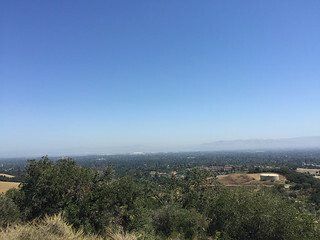 The EDH Trails website gives a great description of various types of trails along with photos to explain them. switchback: a zigzag path up the side of a ridge or a hill, as an alternative to the straight path up. The zigzagging provides a more gradual grade on a slope. tafoni: cave-like formations in sandstone. (We came across these at Castle Rock State Park). trailhead: the starting point for a trail. 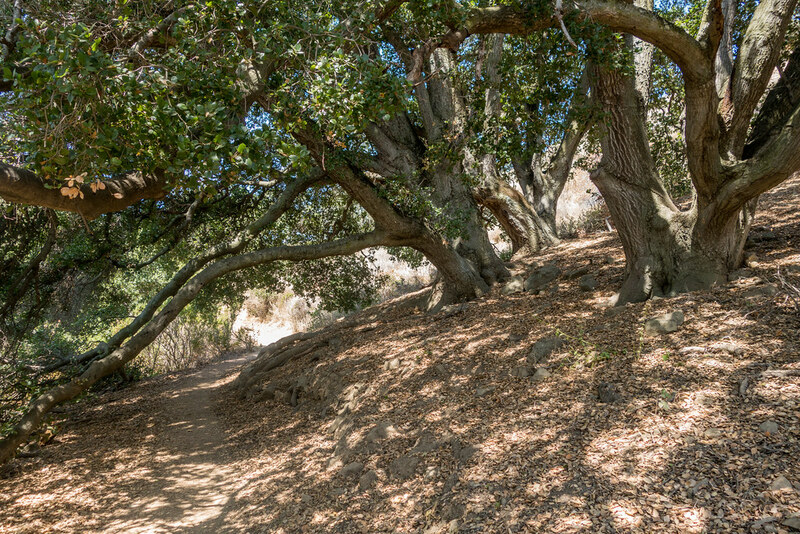 A state, county, or regional park or an open space preserve may have more than one trailheads. 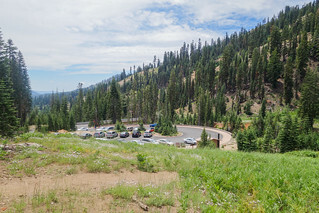 Usually, you will find a parking lot, paper maps, info about the trail, notices and alerts, and toilets at the trailhead. vista: a place on the trail that gives you a clear view of the surrounding area. There is a list of some more interesting hiking terms like angel, comfort hiker, trail name, trail legs, and zero here, and some more on Arizona’s Goldfield Mountains, and Trailville. difficulty: the extent of effort you spend to climb the slopes or walk the flat terrains. Trails are categorized as easy, moderate, or strenuous. This parameter can vary for different hikers. For example, an easy or moderately difficult trail for a pro-hiker might seem really strenuous to a beginner hiker. How difficult a trail seems to you is also a way to gauge your stamina and physical form. Hiking uses muscles that you do not employ in normal walking and it may hurt or feel uncomfortable when you try to put those muscles in action. After a couple of hikes, you will get an idea of the elevation and exposure you can endure and whether a trail marked "easy" (by another hiker; look for any writeups about the trail) is easy or moderate or strenuous for you. For us beginner hikers, a trail with an elevation gain up to 600 ft is easy, an elevation gain up to 1000-1500 ft is moderate, and any elevation gain more than 1500 ft is strenuous. We are hoping we'll get better over time. elevation gain: the sum total, in feet, of all the times you hike uphill on a trail. The elevation profile is depicted as a chart that shows how a trail rises and falls; in other words, the chart tells you how steep or flat your hike will be. It is important to note from the chart the number of repetitions of climbing you will encounter. A trail will seem strenuous if the entire elevation gain happens in one occurrence over a short distance. On the other hand, a trail will seem easier if the elevation gain is distributed over the length of the trail. It is the elevation gain and number of uphill repetitions that make a trail easy, moderate or strenuous. The wikipedia entry here explains this concept perfectly with a diagram. exposure: how much of the trail is exposed to the sun and how much of it has a tree cover, if any at all. A trail may be completely exposed to the sun or may have a tree cover throughout its length or may have both in varying proportions. It may be a good idea to stay off a completely exposed trail in the peak summer season. 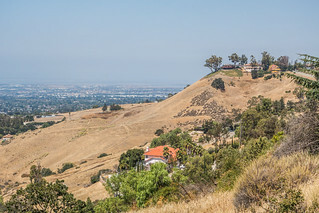 Even if you do hike an exposed trail, it is best to avoid the really hot part of the day, if possible, and dress accordingly, bearing sufficient sun cover and carrying enough water. Similarly, if a trail has a thick tree cover, you ought to carry a torch or some lighting device if you're hiking in the evening because it can get pretty dark in the forested areas close to sunset. hiking time: the time you take to hike a trail. Unlike running, hiking does not stress on a pace. Hiking has a lot many parameters in play like the elevation gain, the kind of trail surface, and width of the trail. Hiking is also about meandering (wandering) around, exploring your surroundings, and giving yourself time to take in the vistas and appreciate the beauty in the wild. Ultimately, your target hiking pace depends on whether you are hiking for recreation purpose or for fitness and training. On an average, considering all the breaks we take to catch our breath (on steep and sometimes continuous ascents) or to drink water or to just click some photos, we manage to hike 2 miles in an hour. While you do not need to rush your ("recreational") hike, it is good to know how many "miles per hour" you cover. Of course, you will be faster downhill and on flat terrains than while going up a slope. 'Your average hiking pace' info will not only help you plan a hike but will also help estimate, any time during the hike, the time needed to complete the remaining distance. Depending on the time of the day you are hiking, this info is important to plan your clothing and other resources appropriately. length: the distance between the starting (the trailhead) and end point on a trail; in other words, the distance you hike. If a trail is an out-and-back type, you dont have much of an option but to tread the same path in and out. If a trail forms a loop, your starting and end points will be the same. Very often, an area has multiple trails that cross each other and you can combine two or more of them in different ways to achieve the mileage you want to hike.